Easygoing Panama rose blooms nearly year round with bright pink flower clusters that attract butterflies. 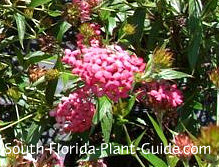 'Bush Penta' is another commonly used name for this plant because the blossoms look like those of pentas (another butterfly plant), and there are lots of them. The flowers have a light daytime scent which grows stronger in the evening, so they're especially nice planted near a patio or other area where you can enjoy the fragrance after the sun goes down. One of the most consistent flowering bushes, this shrub makes a great accent plant, mid-height hedge along a fence or property line, or a colorful addition to a garden bed of butterfly plants. Thriving in hot sunny spots, this is a good low-maintenance plant, except for the occasional trimming for size. Pink flowering shrubs like this mix well in the landscape with blues, yellows, other pinks, white, red and purple. This "rose" is a fast grower and can be kept 3 feet tall with regular trimming. 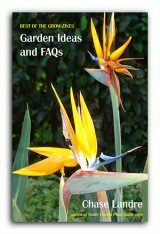 It grows almost anywhere - in full sun to part shade - and prefers well-drained soil. Blossoms appear on and off all year, even in winter. The plant grows best in Zone 10, though you can grow it in a container in Zone 9B and bring inside during cold snaps. Moderately drought tolerant once established, this plant's flowers become fragrant at dusk. Add top soil or organic peat humus to the hole when you plant. Adding composted cow manure as well will help enrich the soil around the root ball. Trim as needed for size and shape. 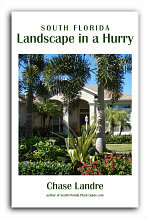 You can do a hard pruning in spring if it needs it. Fertilize in spring, summer and autumn with a top quality granular fertilizer. 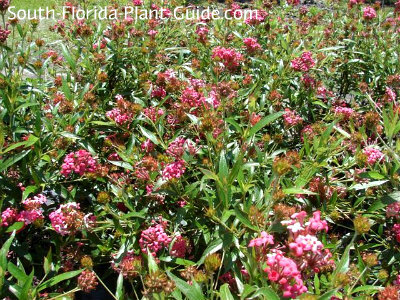 Give this pretty shrub a regular drink with time to dry out between waterings. Though it's considered moderately drought-tolerant, regular irrigation will keep it looking its best. Place these shrubs 3 feet apart. Come out from the house or a fence about 2 feet. This shrub can be grown in a container or planter box. 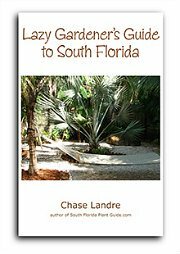 COMPANION PLANT SUGGESTIONS: Snowbush, plumbago, gold mound, lantana, bush allamanda, drift rose, white fountain grass, bougainvillea, and golden dewdrop.